The technical limitations of the Xbox 360 and the PS3 are holding the PC back, says Crytek CEO Cervat Yerli. According to Yerli, you don't need to wait for the next PlayStation or Xbox to experience the next generation of gaming, you just need to invest in a decent gaming PC. He believes that the PC platform has left consoles far behind and says that as long as this disparity in power exists, gamers won't be able to get the real benefits of either type of platform. Yerli thought that games like Crysis 2 represented the ceiling of what could be achieved with the Xbox 360 or the PS3, and said that Crytek would struggle to "squeeze more juice from these rocks." He also thought that future CryEngine projects would be hampered creatively by these technological limitations. Yerli described the vicious circle that he thought was keeping the PC out of the limelight: developers had low sales expectations for the platform, so didn't invest enough in the PC version of a game, which affected revenues and kept the cycle running. He thought that until PC games were making as much as their console counterparts, this cycle would keep running indefinitely. Nothing that Yerli says is actually untrue: gaming PCs are typically a lot more powerful than consoles and it's mainly financial concerns that keeps developers from using all that power. That said, trying to make it into an "Us vs. Them" discussion just seems entirely unproductive. Games are getting more and more expensive to make, and developers and publishers have to invest their time and money wisely. If there's a fortune to be made in cutting-edge PC games, then Yerli is going to have show people that, not complain that they aren't doing it already. 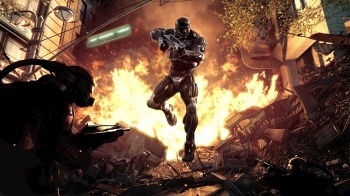 Crysis 2 comes out for Xbox 360, PS3 and PC on March 22nd.